We carry Anthony Forest Products and lumber supplies. 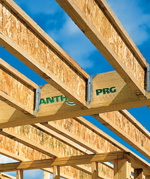 AFP specializes in Engineered Lumber: Laminated beams, "I" joists and more. Check out their website for more details and project ideas. 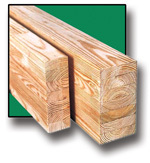 Mixer Lumber Company also regularly stocks all dimensional lumber supplies. Plywoods, Studding, Pressure Treated, Hardware, Fasteners and any other product you would need for your home or business project. Call us any time for advice or to order what we don't stock. We can design and order custom Truss Systems. Trusses are an economical way to construct roofing and flooring. Call us for help with your new construction project and save some money!